The Mount Barker Amateur Swimming Club is fundraising to supply the 2019 Karratha Country Pennants Swim Team with uniform Swim Bags. This is an exciting, major competition for our club, made extra special as we are flying to Karratha as a team. Our aim is for all swimmers, coaches and accompanying adults to be supplied with matching bags. The bags will be in our team colours and will have the team "Barracuda" logo on them. The cost of this trip is significant. We want to reduce the financial burden for those travelling and ensure the entire team can wear the “Barracuda” logo with pride. By making a donation you will be helping to cover the costs for all the bags for all those travelling. 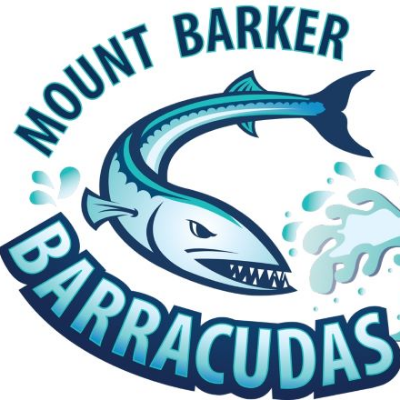 Please show your support for the Mount Barker Amateur Swimming Club and the 2019 Karratha Country Pennants Swim Team by making a tax deductible donation today! Best of luck to all those travelling to Karratha! Donation for 2 sports bags for Mount Barker Baracudas Swim Club team members.